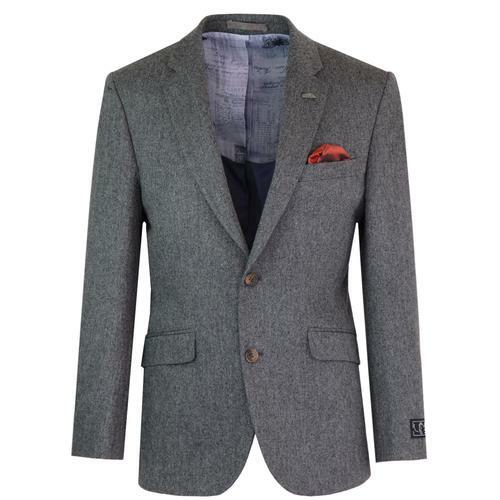 Men's 1960s Mod tailored 2 button blazer jacket in a stylish Retro textured boucle check wool blend fabric. The subtle windowpane check pattern in tan is accompanied by fleck boucle pattern in white and both work perfectly with the dark navy ground. Benefitting from a slim notch lapel, Mod right side ticket pocket, Vintage etched metallic buttons and two flap side pockets. 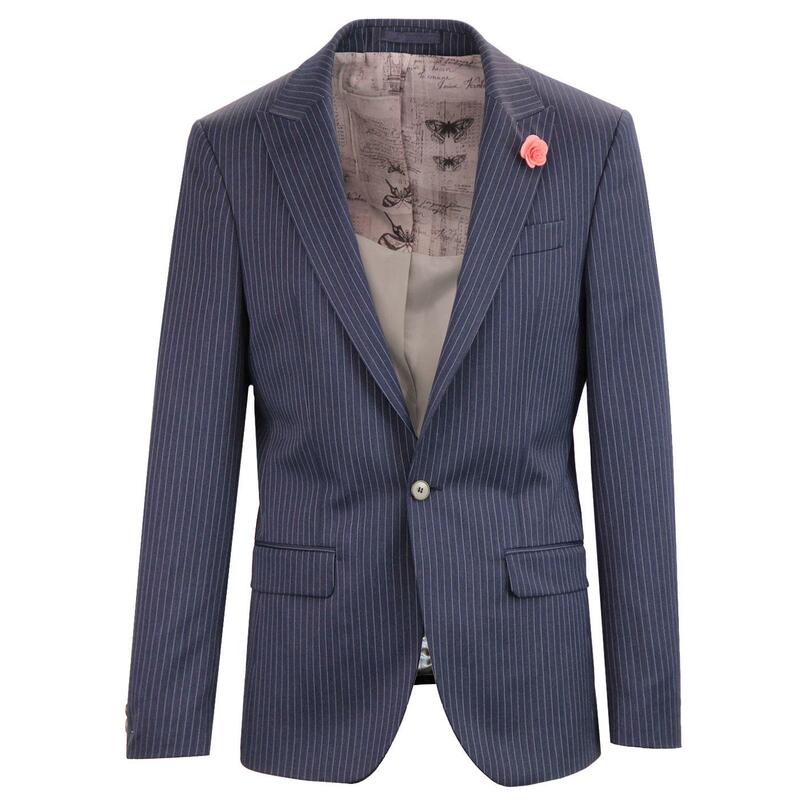 A stylish slim fit 2 button single breasted blazer with 3 button non-working cuffs, side vents and left side breast pocket. 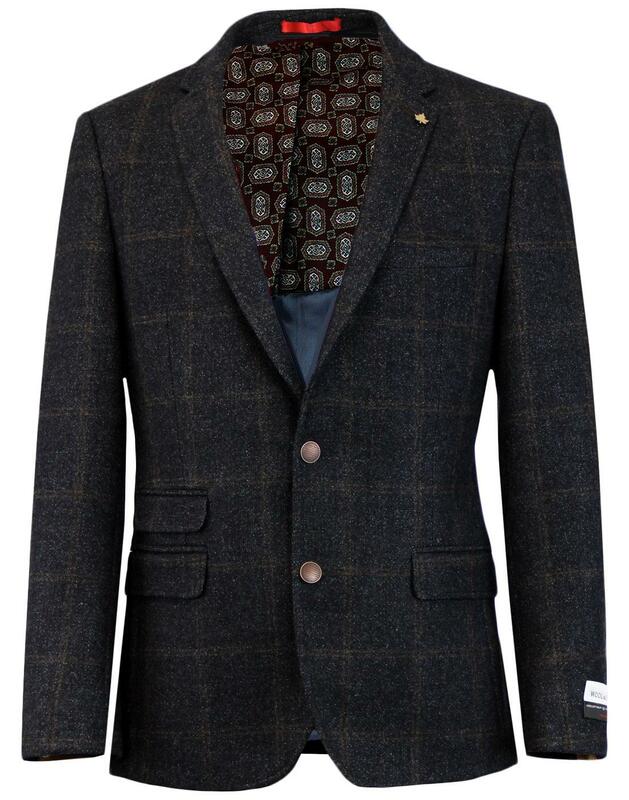 Finished with a hint of contrast Retro tweed trim to the cuffs and a rich burgundy paisley lining detail. A maple leaf lapel pin adds to the air of sophistication. 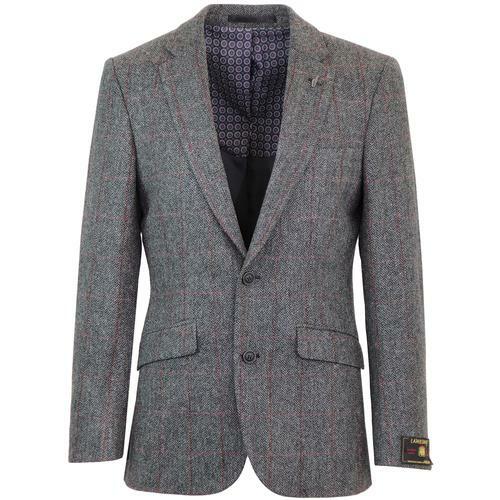 This stylish tailored Mod blazer jacket is perfect for the autumn/winter season offering a Vintage textured country heritage vibe that teams up well with smart trousers and brogues! - Men's 60s mod 2 button single breasted boucle check blazer jacket in dark navy. - Retro tan windowpane check detail. - Intricate boucle fleck finish in white. - Vintage etched bronze metallic buttons to fastening and non-working cuffs. - Burgundy paisley lining detail. - Detachable maple leaf lapel pin. - SKU: S17560JP Navy Boucle Check Blazer Jacket. Composition: 97% wool, 3% polyester. Lining 1: 100% polyester. Lining 2: 100% viscose.